The Why's of Worship is written to denote the mode of worship items in each church and instill in the young minds of children the Things of God and why we repeat them over and over. Repetition installs these beliefs in the child's mind so when they encounter problems as they age, they will instantly remember these things and give them something to hold onto, giving them the courage to overcome any temptations they are facing. Teenagers today are constantly seeing the violence on television, in gaming houses, in theaters, in video games on cell phones and home systems like Wii and game boy units. These distractions are blocking out any time to think about God and the present condition of their own souls. Hence, when they experience a difficult time in their lives they turn to doing drugs, prostitution, committing a crime or anything that gives them that much sought after rush. They think that the easiest way to avoid this is perhaps to end their own lives through suicide. They must know and realize that this is not the way out of their miseries but only opening the door to hell and that for eternity. Jesus said in one of His parables that "The road to salvation is so plain that a wayfaring man, though he be a fool, need not err therein." Our teens are certainly not fools and must be given the knowledge that their Savior is only a breath away. He will forgive and comfort them, cleanse their hearts while putting them on the road to salvation and to life everlasting. They may lose a few of their so-called friends but the peace and forgiveness received through Christ will allow them to enjoy a complete night of guiltless sleep. 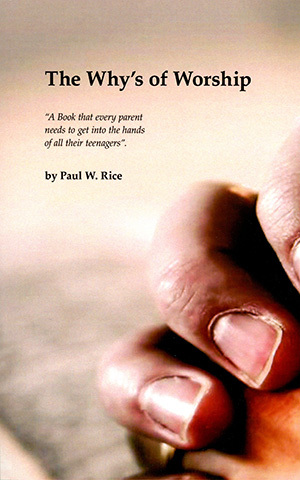 If you, as a parent, suspect that your teenager may be having some difficulties, by all means, get this book and get it into their hands as soon as possible. It may well be a Suicide Intervening book and if it saves the life of just one child, it has been worth all the efforts to get it into publication.